Peridot is the birthstone of August, a very light green, Peridot (pronounced per-i-dough) is my favorite Gemstone, (though it is usually meant as a woman’s stone) because of it’s beautiful light green color as well as it is my Birthstone. It used to be known as Topaz, which is an entirely different Gemstone. The reason Peridot was called this is because Peridot was usually mined by the ancients on the island of Zabargad in the red sea, then known as the island of Topazos. thus the confusion. 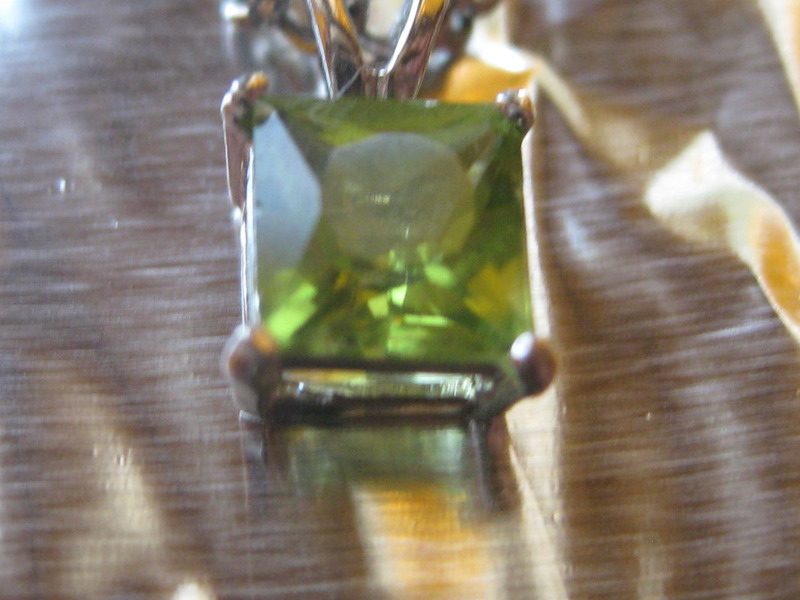 The Peridot in the picture I got for my 11th Birthday the day before yesterday. (along with three books on Gems so I should have much more information) 🙂 . Because of Peridot I would like to go to Hawaii; I’ve heard that there is Peridot Sand there, (though not large enough to be of Gemstone quality) that is not surprising beause l think Olivine (Peridots “speicies” Iike Sapphire is Corundum) is of voIcanic origin. This entry was posted in Uncategorized on August 4, 2010 by Captain Belaq. Caleb said-Sorry, but that was me, Caleb, on the last comment :).